A 17-year-old suspect was charged with the murder of an 18-year-old Flagler Palm Coast High School student who was shot at a laundromat, according to the Flagler County Sheriff's Office. Sheriff Rick Staly said Marion Lee Gavins Jr. turned himself in at around 3 p.m. at the urging of his mother, who was present during his arrest. The arrest was made just 36 hours after the victim, Curtis Israel Gray, 18, was shot at the Palm Coast Coin Laundry at 4845 Belle Terre Parkway following an altercation, Staly said. Gray was airlifted to a local hospital where he later died of his injuries. Gray was a member of Flagler Palm Coast High School's Track and Field team, according to the team's coach, David Halliday in a post to Facebook. Before transferring to Flagler Palm Coast, Gray played football and ran track at Matanzas High School for nearly four years, according to a representative with the school district. 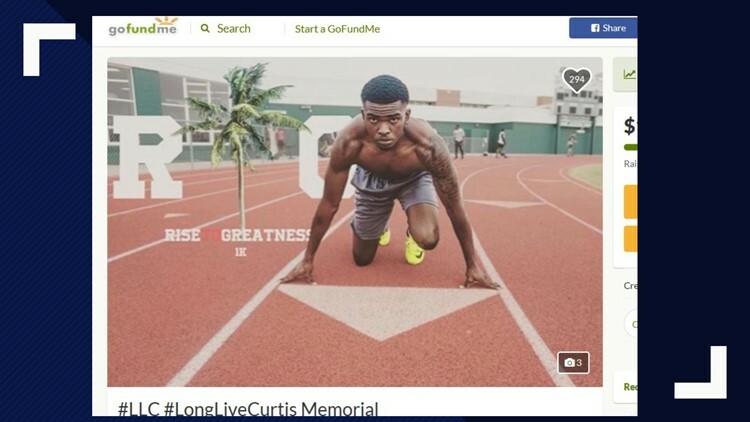 A GoFundMe page has been set up to raise money toward Curtis Israel Gray's funeral arrangements and memorial. After interviewing witnesses, deputies identified Gavins Jr. as a suspect just 12 hours after the fatal shooting. Saturday afternoon, deputies conducted a traffic stop on a car leaving the home, but Gavins Jr. was not inside the vehicle. A search warrant was conducted at the suspect's home. During the search warrant, deputies found the car the suspect was in at the time of the shooting. However, Gavins Jr. was not inside the home. At 2 p.m. on Sunday, Flagler County deputies met with the suspect's mother who agreed to meet at the Sheriff's Office. An hour later, the suspect turned himself in and was arrested, according to deputies. Staly said Gavins Jr. has a criminal record that goes as far back as 2014. In October of that year, the suspect was arrested for reportedly selling marijuana within 1,000 feet of a school. In 2015 he was arrested for violation of probation and possession of a weapon (an 8-inch kitchen knife) on school campus, deputies said. In 2016, Gavins Jr. was arrested for domestic violence. Staly said the relationship between the suspect and the victim is unknown and deputies are still working to determine a motive in the shooting. Gavins Jr. has been charged with first-degree murder. Grief counselors will be at both Matanzas High School and Flagler Palm Coast High School Monday morning, according to the school district. A GoFundMe page has been set up to raise money toward Gray's funeral arrangements and memorial. Click here to donate.